INU - Japanese Prime Minister Shinzo Abe has cancelled his plans to visit Iran this summer following Donald Trump’s tough actions against the Regime, according to government sources on Tuesday. Abe was planning to visit Iran in mid-July for talks with President Hassan Rouhani. It would have been the first visit by a Japanese leader since the Regime stole power in 1979, but government sources reported that in late June, Japan informed Iran that the trip would not be going ahead. 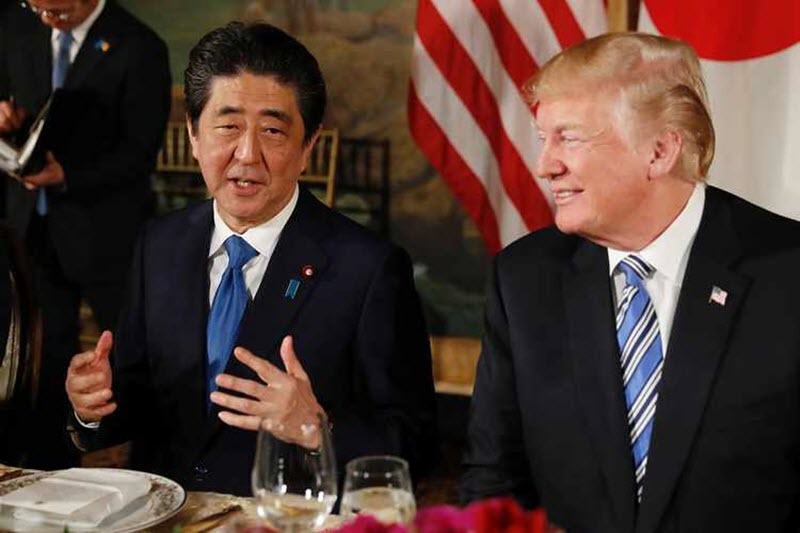 Japan’s decision was made because of Trump’s push to isolate Iran from the international community and strangle its trade deals with the rest of the world, following his decision to pull the US out of the 2015 nuclear agreement in May. The US has recently urged Japan and its other allies to stop purchasing Iranian crude oil entirely by November 4, when sanctions on Iran’s oil industry will snap back. Japan, which has maintained stable relations with Iran, told the Trump administration that it couldn’t reduce its oil imports from Iran anymore – citing possible harm to the Japanese economy. For decades, Japan has relied on Iran for oil imports, but now the Ministry of Economy, Trade and Industry reports that Iranian crude oil only accounts for 5% of Japan’s total imports. That small percentage and the fact that the other oil-producing countries have promised to up their output to meet demand could mean that Japan could well end their dependence on Iran to meet US demands. Japan said that Abe may visit Iran at another time in the months ahead, depending on how US-Iran relations play out, but it is unlikely that these relations will improve. The US is likely to increase pressure on Japan to ditch Iran, when US Secretary of State Mike Pompeo visits Tokyo this weekend. Japan’s decision to cancel Abe’s visit to Iran is a good first step in isolating the terrorist mullah’s regime and should be followed by other countries. No diplomat or dignitary should meet with the world’s leading state sponsor of terrorism, especially after they planned an attack in Paris last weekend, and every country should cut off diplomatic ties with a regime that has proved incapable of reform. The policy of appeasement has not worked for the past 40 years and now is the time to end it. Cutting Iran off from diplomatic and trade relations will weaken the regime, empower the Iranian people, and bring regime change to Iran.